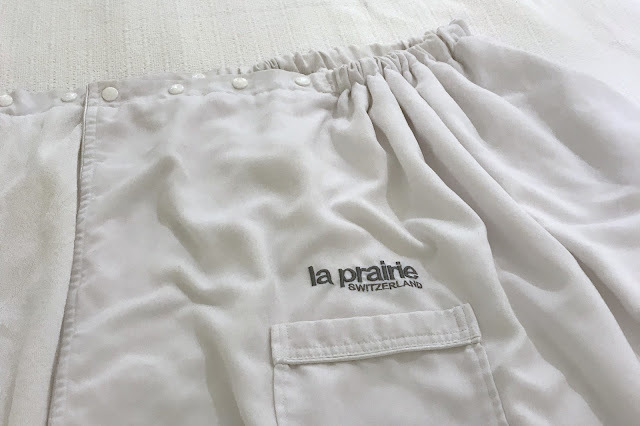 I greatly treasure my time off and when I had three precious days all to myself this past long weekend I was careful to make sure I didn't fill them up with too many things to do. My husband and I don't share many days off together so it was really a treat to see him for three consecutive days. I am a total homebody and generally prefer to stay home and blog, clean and cuddle up with my furbabies, but I made an exception last Saturday when I trekked out (hubby came too!) 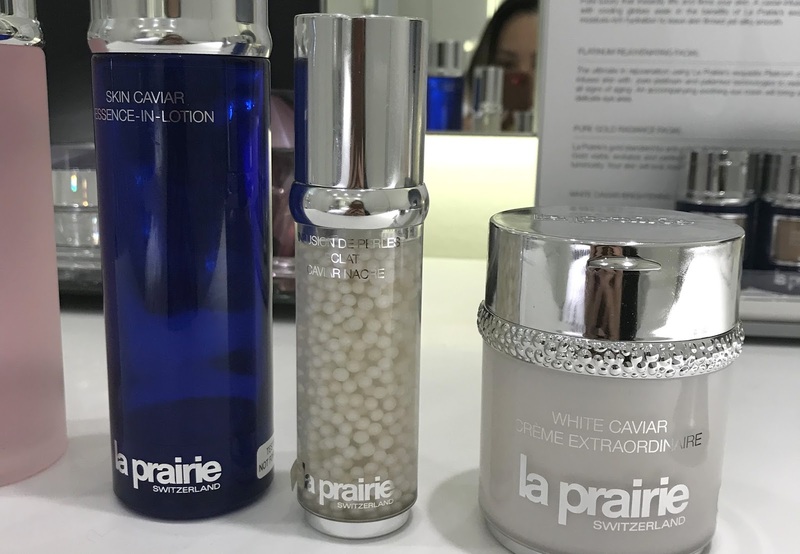 to Holt Renfrew in downtown Vancouver for a La Prairie White Caviar Facial Treatment! 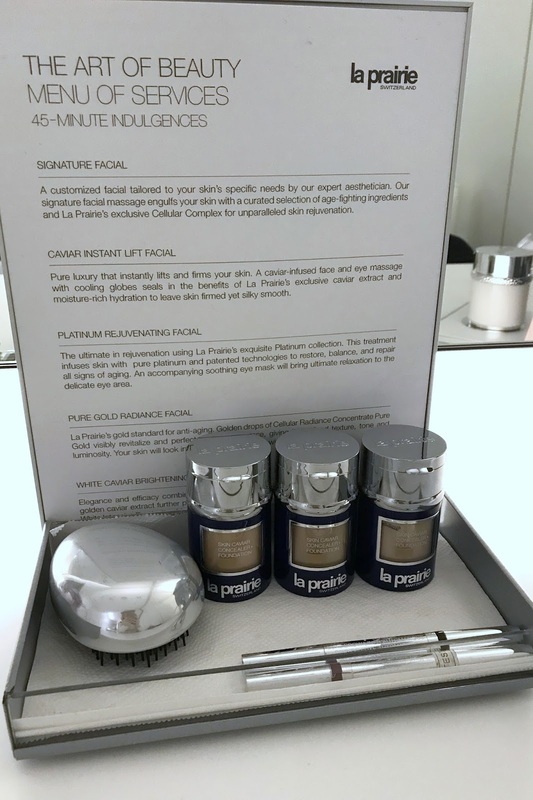 Treatment was complimentary and provided by La Prairie and Holt Renfrew. All opinions are my own. 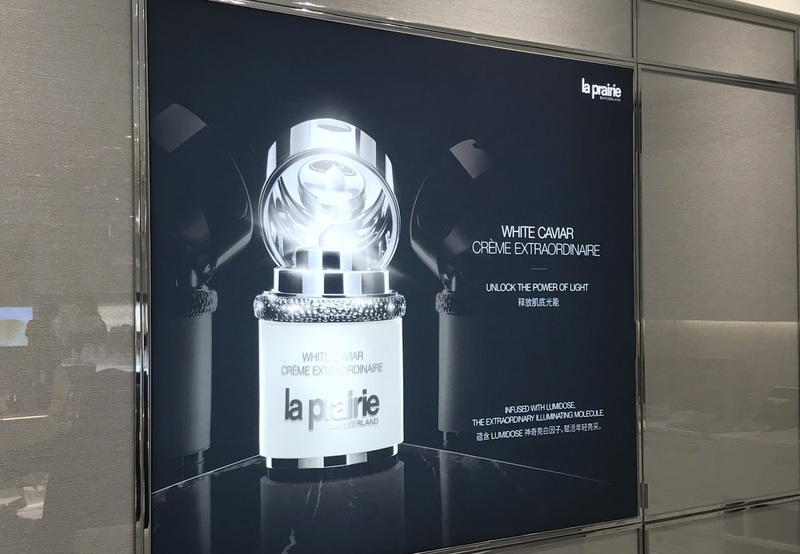 The new Beauty Hall at Holts is pretty amazing, not just in layout, but because a few brands, like La Prairie, have their own private facial cabines allowing clients to experience a full 45 minute facial with an esthetician. There are a few facial treatments typically on the menu, but since we were celebrating the launch of the new White Caviar Creme Extraordinaire, today's facial focused on brightening and the White Caviar line which I had absolutely NO problems with! The facial cabine is right inside the La Prairie "boutique" and was fairly spacious with more than enough room to change and put down my things. I hate it when a facial room is super cramped! 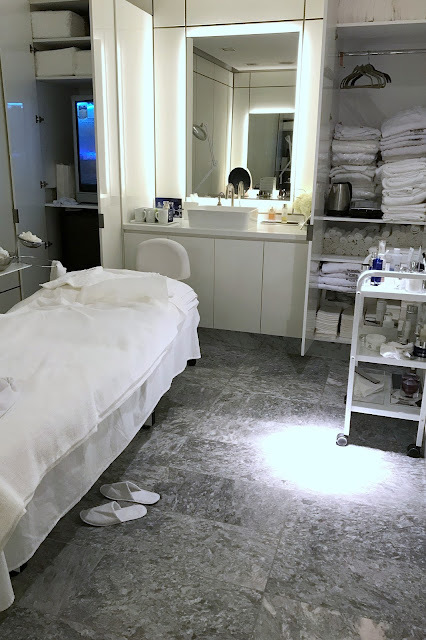 Maria, was my esthetician that afternoon and after putting on my gown, let me know exactly what was going to happen over the next hour and also showed me each product she was using at every step. Whether this was for my benefit or her usual style, I really appreciated it because I always like knowing what's happening to my skin! 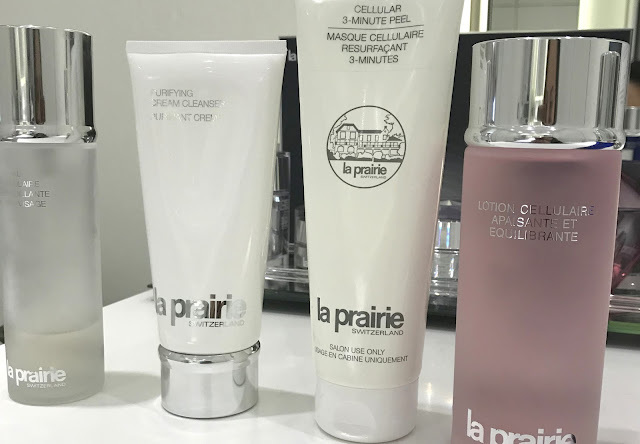 After about 15 minutes, the massage cream was toweled off and the Cellular Softening and Balancing Lotion was used to prep my skin for my chemical peel! Maria mentioned that this toner was great for sensitive or dry skin as it kept irritation in check while simultaneously soothing the skin. The Cellular 3 Minute Peel is a weekly resurfacing mask made with both AHAs and BHAs. I am not sure of the strength, but my skin is still smooth and glowing from having this done 5 days ago! 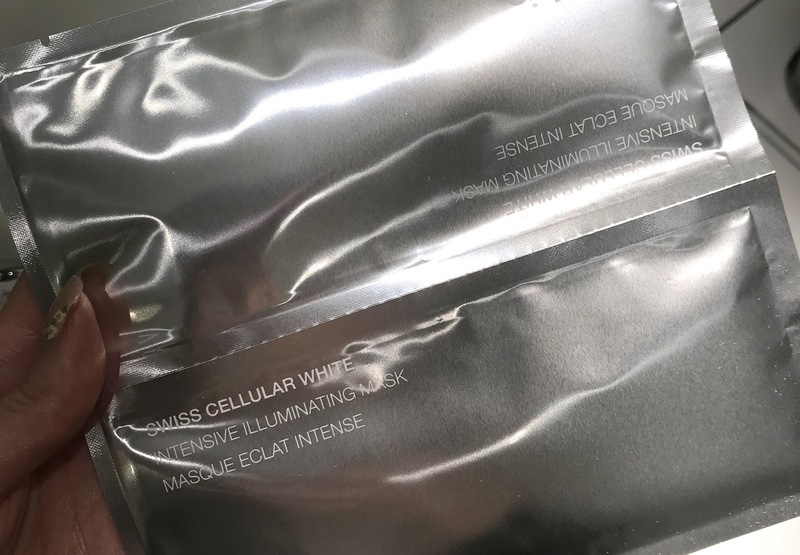 It did tingle a bit while it was on and even a few minutes after around my nose and chin, but once we applied the Swiss Cellular White Intensive Sheet Mask the tingling disappeared and my skin immediately felt soothed. This is only the second time I have had a sheet mask included in my facial and I LOVED it! It came in two parts and fit perfectly on my face. This was left on for about 5-10 minutes while I got a delicious hand massage! Once the sheet mask was removed, the Skin Caviar Essence-In-Lotion was applied to my skin as a pre-serum treatment for the White Caviar Illuminating Pearl Infusion! This is a brightening serum that targets age spots, redness and skin dullness. It also reminds of that drink Orbitz from the late 90s! 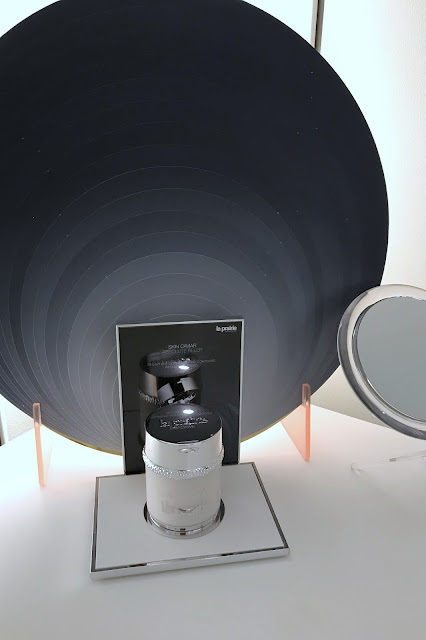 I am a bit hazy on the details of which eye serum and cream we used because we changed it at the last minute to something else...but regardless it was all very luxurious. 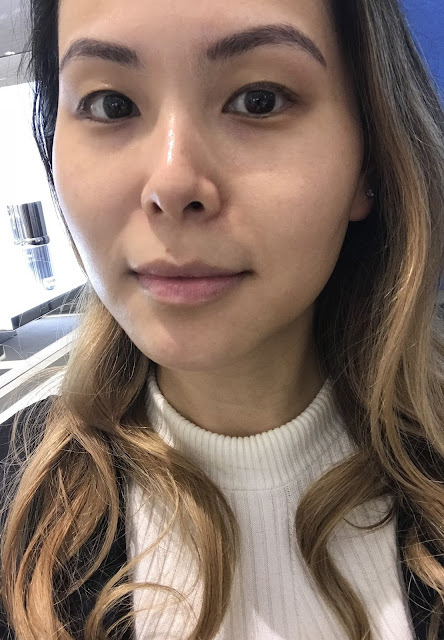 Finally we finished with the star of the show - the White Caviar Creme Extraordinaire which was supremely lush on my skin and as you can see from my Holt Renfrew selfie, my eyebrows actually look like I had fresh microblading done because they look so much darker! I guess that's what glowy, fresh skin looks like! It just made my eyebrows look that much darker! All in all, this was a great brightening facial with effects I am STILL experiencing as my skin surface just looks incredibly smooth. I have fairly good skin as is, but I did have some congestion on my forehead and chin before going in that have now vanished! 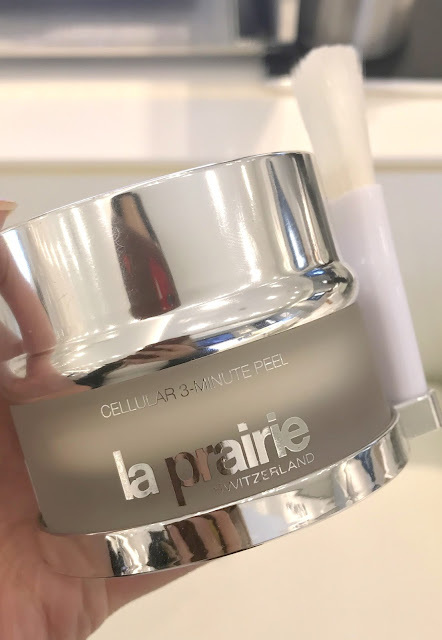 I am convinced it is that 3 minute peel so I will have to pick that up and review it for you all at some point because I HAVE to do that again! 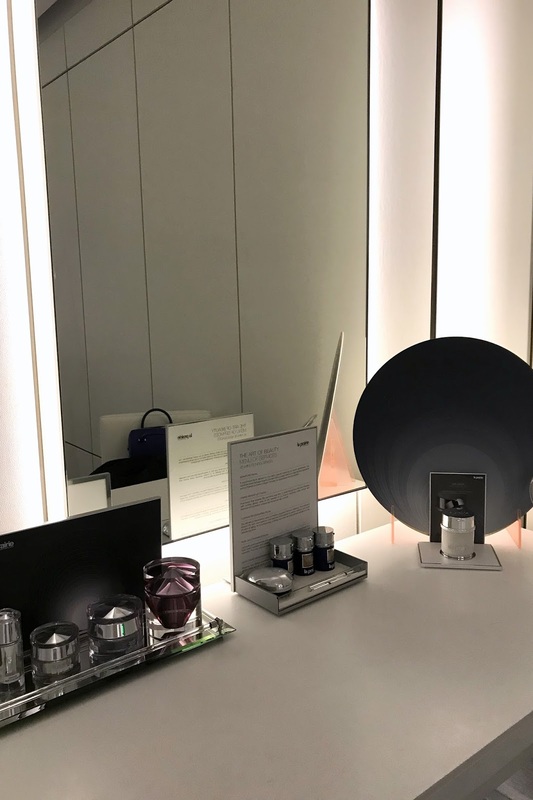 Thank you to the La Prairie and Holt Renfrew team for having me and I hope some of you got a chance to check out the pop-up lounge!